We’re delighted to report that the Wildlife Cam Kit received a 4 out of 5 star review in the MagPi magazine this month. After almost a year in development it’s always a delight to find a review of your product and see that it received praise. Take a look in this month’s MagPi magazine (page 80) for a look at our Wildlife Cam Kit. The review identifies a few software niggles (USB write speed) and notes where we can (and should) tweak the instructions manual to improve the assembly experience, but also confirms that the case is weatherproof, the assembly is straight forward and the battery lasts for up to 3 days. We’ve already started updating the software to improve the capture speed, so for those of you who have an original Kickstarter OS release – watch this space for an update that you’ll be able to download and apply to update your kit. 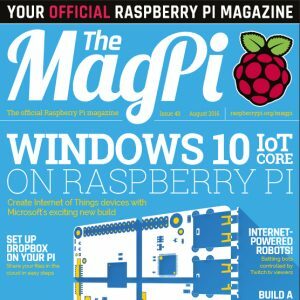 Many thanks to Philip King @ the MagPi for reviewing our kit for us.